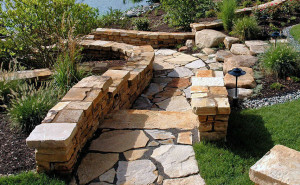 Since 1949, we have been the stone, paver, & retaining wall supplier of choice for contractors and homeowners. We invite you to view our outdoor displays any time. Our displays show our product in real applications. We carry a large selection available directly from our yard. New England Silica has a fleet of trucks and trained drivers. Our natural stone choices will help you create a truly unique look. We are proud to be the stone, paver, & retaining wall supplier of choice for contractors and homeowners in Southern New England. 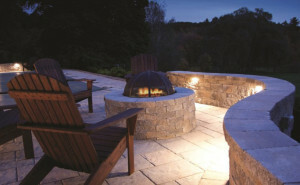 We've grown our outdoor living choices to include the best kitchens & grills, lighting, fire & water features, and more. With stock on hand, we deliver directly to build sites using our own fleet. Stop by our South Windsor location to view our outdoor displays and huge selection and talk to an expert. 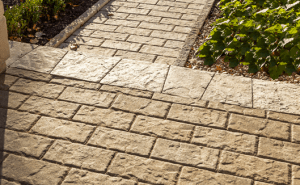 We have pavers & retaining walls for virtually any type of project – from patios, pool decks, walkways, and driveways to pedestrian plazas, streets, parking lots, and more. The color, shape, and texture of natural stone will bring timeless elegance to your hardscaping projects. We have a wide variety of natural stone in stock ready to go. 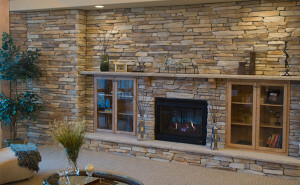 Add the elegance of stone to your home or business with natural or manufactured stone veneers. Visit our showroom to view our wide selection of thin stone veneers. 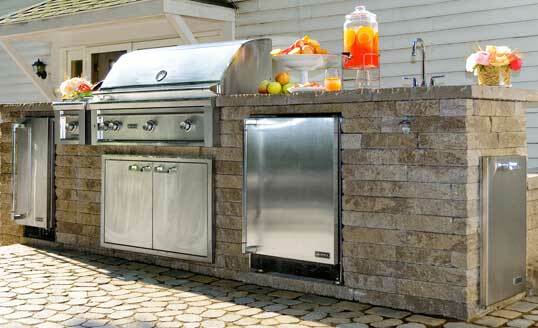 For outdoor living, there is nothing like the outdoor kitchen. Entertain while creating delicious dishes in your beautiful outdoor kitchen, premium grill, or amazing stone pizza oven. Low-voltage landscape lighting will elevate the beauty and value of your home. Water and fire features add the right ambiance for you and your guests when entertaining outdoors. True our roots, New England Silica continues to provide blasting abrasives & equipment. 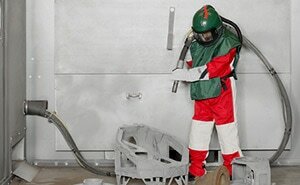 We have the best availability of sandblasting materials & equipment in the area. 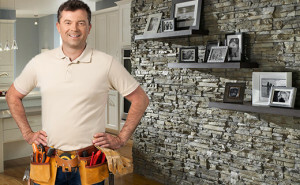 Tell us about your project and we will help you find a contractor.